TE04 just completed a very solid weekend at the Spano Dome Indoor Tournament. Spano traditionally hosts 20 of the top teams from Ohio and surrounding states. Our hard work over the winter is paying off as we obtained the #1 seed from our pool. We were 3-0 with wins over Erie Frost 04, Ohio Ice Orange and Valley Extreme 04. We won our first bracket game over Steel City Select 03 and then Turnin2 03 out of Michigan sent us home. We were 4-1 overall on the weekend and were one of the final 8 teams standing. It was a great experience! 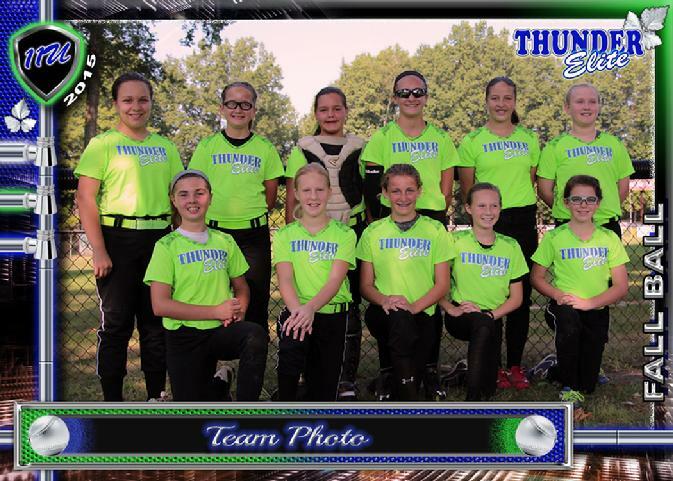 Check out our Facebook page at THUNDER ELITE 04. 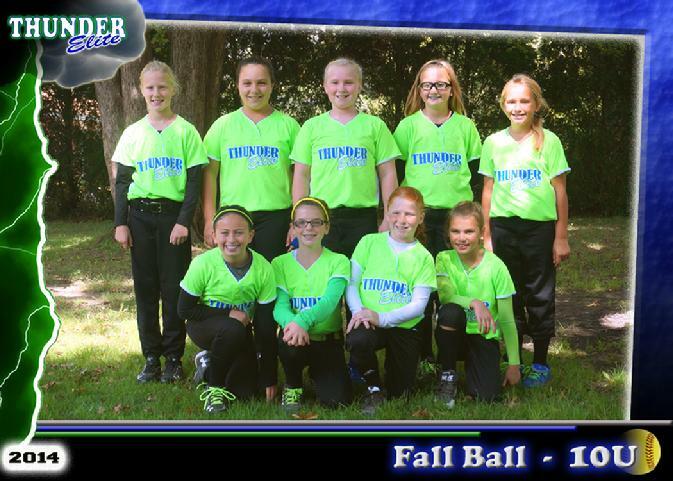 Thunder Elite 04 completed a very productive Fall season with a 3-2 record at the 2015 Pumpkin Smash. Our overall fall record was 14-3 with our 3 losses coming to very competitive 03 teams....Sluggers 03, Lightning Gold, and Hurricanes 03. 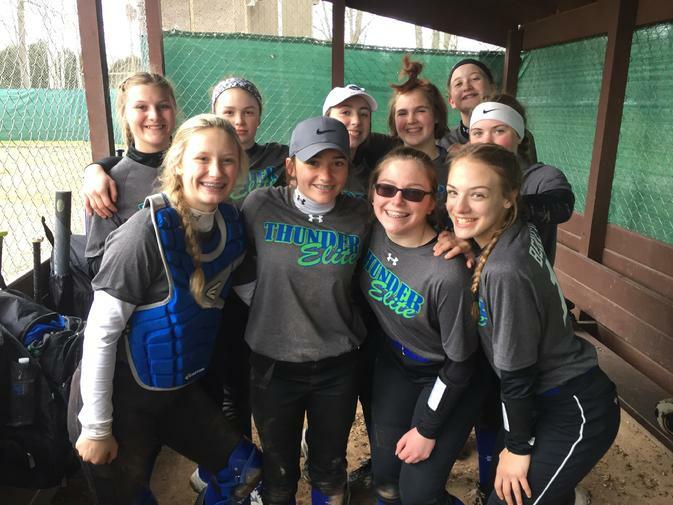 In addition to the Pumpkin Smash, we were 8-0 in the Thunder Elite Fall League and 3-1 with a Runner-Up finish at the Stay in Softball Tournament. We will now begin the winter grind with indoor practices beginning November 1. What an amazing weekend at the Ohio Stingrays Showcase! Above is a cool picture with our new rain delay friends, Michigan Pride. The 24 team field from 5 different states was everything we expected and then some. We finished the weekend with a 4-3 overall record and a Final 4 finish on Sunday. We were awarded the 2 seed out of our pool and had a bye in round 1. We went on to wins against Michigan Pride (6-2) and Michigan Hurricanes Black (5-3). Ultimately we were taken down by the Roadrunners (Zanesville) in International Tie Breaker. 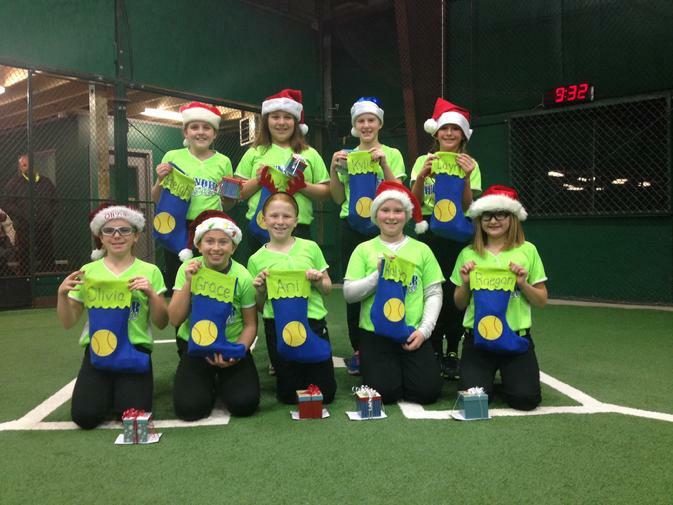 Next up for us is the 'Twas the Night Before Christmas in July where we will be playing up at 12u. 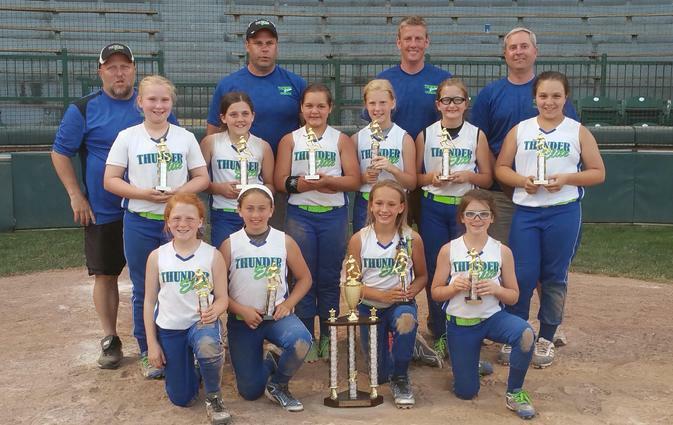 Thunder Elite 04 won the 10-team 6GG PGF Fireworks Frenzy in Strongsville, Ohio. This was a very fun tournament and experience....especially with the nice weather. Our combined record for the weekend was 6-2. Hats off to all 10u teams who participated (especially Erie Frost, Ohio Ice Orange and Ohio Hurricanes 04). They are very well coached and have very classy, fun to watch players. After a slow start in pool play on day 1 where we were clearly rusty from the poor weather, we started to get it together. 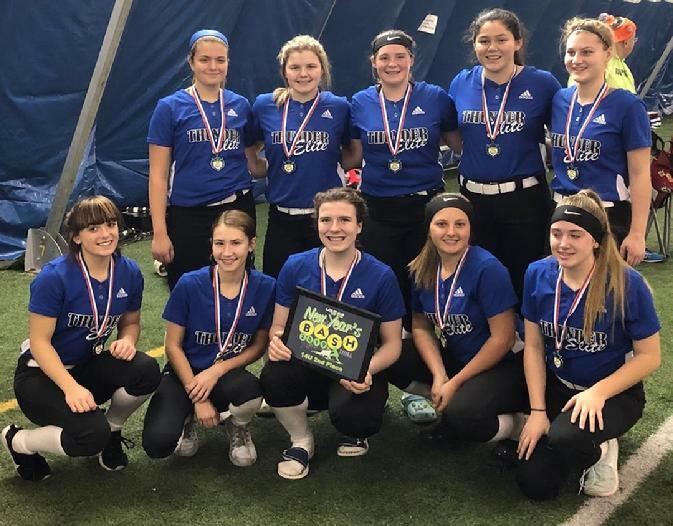 On Sunday, we fought hard with wins over Valley Extreme 18-0, Ohio Ice Orange 5-4 (International Tie Breaker) and Ohio Hurricanes 04 11-2 to win the championship. TE04 had another successful weekend at the Firestone Frenzy in Akron, OH. The girls went 2-1 in Pool Play with wins over the Pittsburgh Bandits 8-0 and Ohio Blast 3-1. They were the #2 seed going into Elimination Sunday. 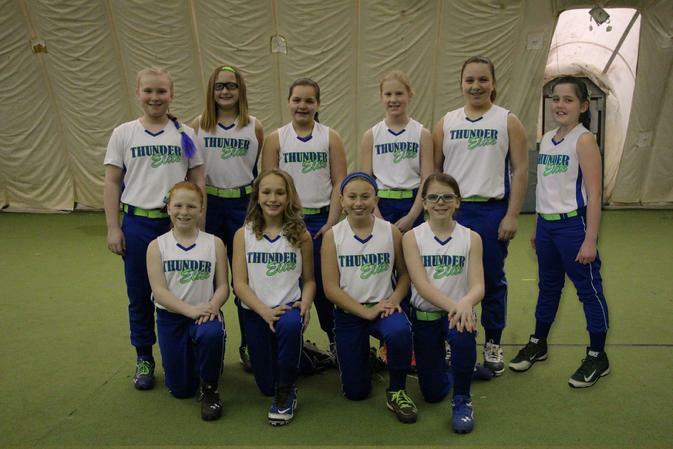 They defeated Lady Lookouts and Sundogs 04 to get to the championship game. The Sundogs 04 win did not come easily. The final score was 7-6 with 2 ITB innings played. It was back and forth all game. TE04 demonstrted grit, passion and determination to pull it off. In the end, Valley Force 04 shut us down in the championship game, 3-1. Hats off to their talented pitcher. TE04 had a very successful weekend at the Valley Extreme Double Trouble ASA Eastern National Qualifier. After going 2-0 in pool play and being awarded the #1 seed, they won their first 2 bracket games against Valley Extreme and Erie Frost 04. Erie Frost then dug their way out of the losers bracket to play us in the championship game. We had enough gas left in the tank to beat the gritty, well-coached Erie Frost team 10-1 to be champs. This talented TE04 team outscored their opponents by a combined score of 50-5 on the weekend. We will be action next at the Breast Cancer Shootout on May, 15, 16, 17.